“This brain needs to be exploited and seriously invested in by Government officials. Africans are intellectually awesome and extremely creative. 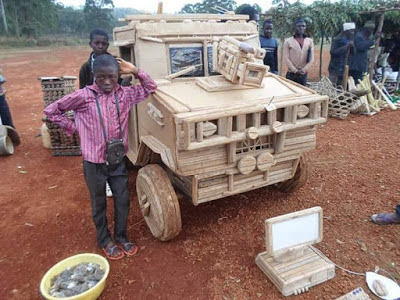 A young boy from Mubende Uganda has invented something, its a dream come true for him, a land-rover and a laptop from wood.